We believe that the things we own should be meaningful, functional, attractive, long-lasting, and hard-wearing. Contrary to the throwaway culture that thrives today, we believe in owning less, but better. The things we own should be worth taking care of, getting better with age as they personalize; telling your story as they become part of your story. We set out with these things in mind when we design and create our products. 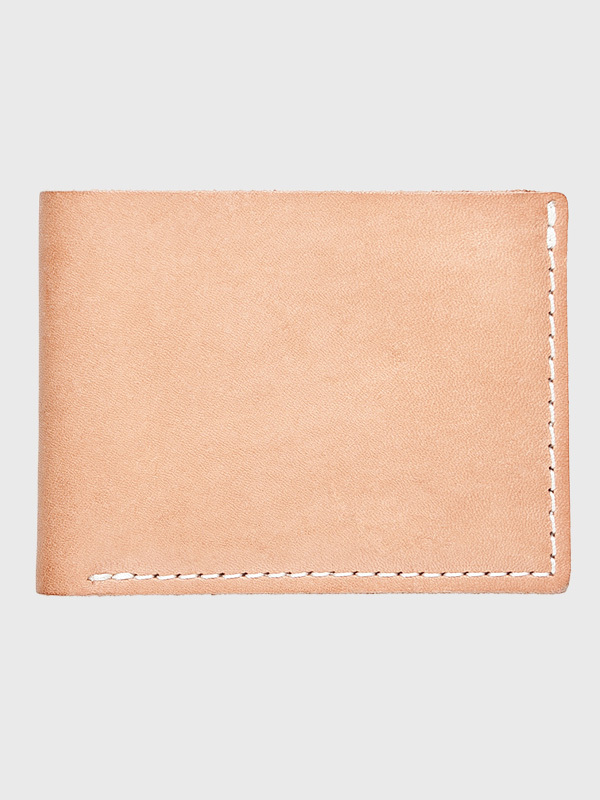 Our veg tan is un-dyed and largely unprocessed, resulting in a very basic tannage that leaves a lot of room for the user to leave his or her personal mark. Natural veg tan will darken and patina dramatically with use and exposure to sun, moisture, and oil. 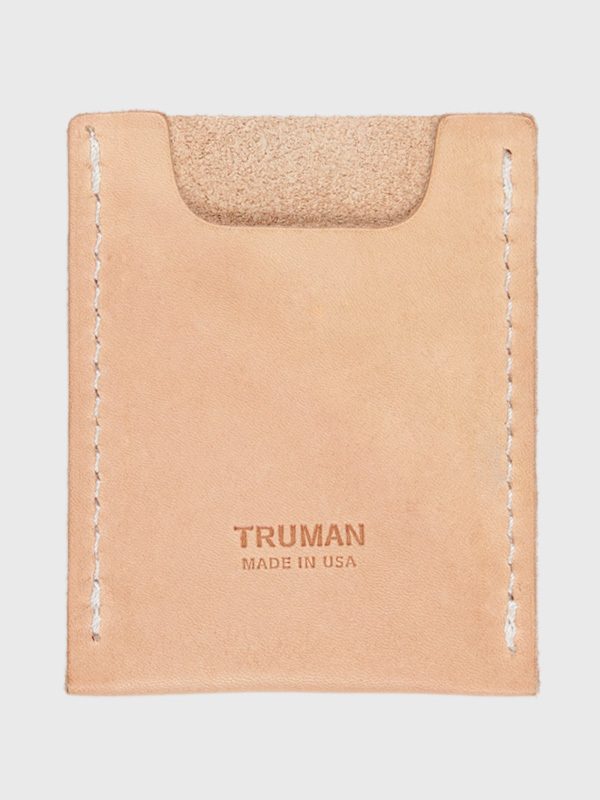 Truman handcrafted black and tan leather collection. A great choice for those who want to step outside of the box. 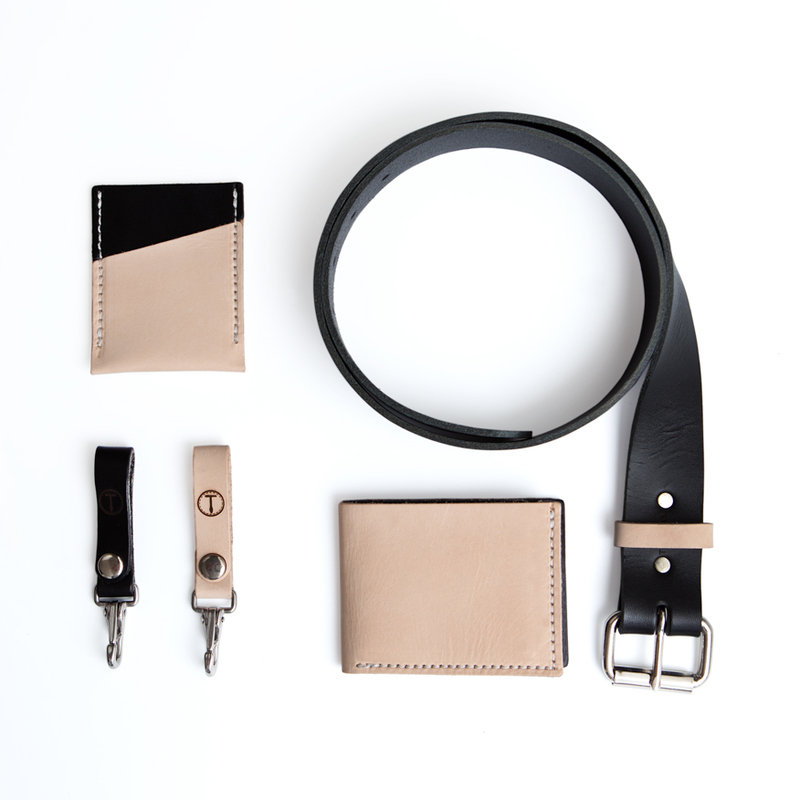 Featured are bi-fold wallet, key-clip, belt. Item are handcrafted in the USA. While consistent handling will essentially oil the leather from the oils from your hands, we recommend treating your veg tan every few months or if it ever starts to feel dry or brittle. These are some leather treatments we recommend.